The E scow is one of the most beautiful, well balanced, and competitive high-performance racers in the lakes and bays of the United States. Many of the world’s best known sailors from the ranks of dinghies to ocean racers name the E scow as one of their all-time favorites. 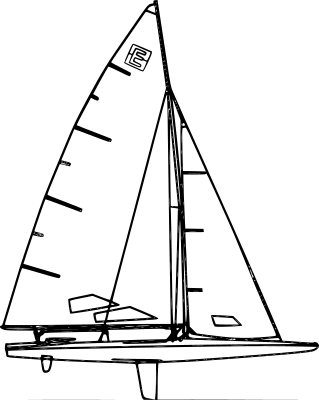 Designed to race with 3-4 people, it has all the modern gear (including spinnakers) to keep the crew working as a team in order to provide the exhilarating ride for which it is known. The class enjoys a strong national organization that, in cooperation with the ILYA, governs its scantlings and other rules.